Although it has never been a possibility to upgrade a 40GB PlayStation 3 (PS3) console to play both PlayStation 2 (PS2) and PlayStation (PS1) games, there are certain PS3s that already possess that capability. You will just have to know the models that do. When the PS3 was introduced to the world in November 2006, it came in two models--the 20GB and the 60GB--which could play both PS1 and PS2 games. However, PS3's manufacturer, Sony Computer Entertainment, scrapped both models in January 2007. Sony replaced the scrapped models with another pair by the end of 2007--the 40GB and the 80GB. With these models, PS3s retained backward compatibility for PS1 games, but the ability to play PS2 games was drastically reduced. The 20GB and 60GB had the "Emotion Engine" CPU that was in the PS2 console, and thus enabled smooth PS2 game play. In contrast, the 80GB only had software emulation, which did not guarantee that all PS2 games would work; or if they did, have no problems during gameplay. The 40GB had no backward compatibility at all. In 2008, Sony scrapped the backward-compatible 80GB altogether and replaced it with a version that does not play PS2 games. 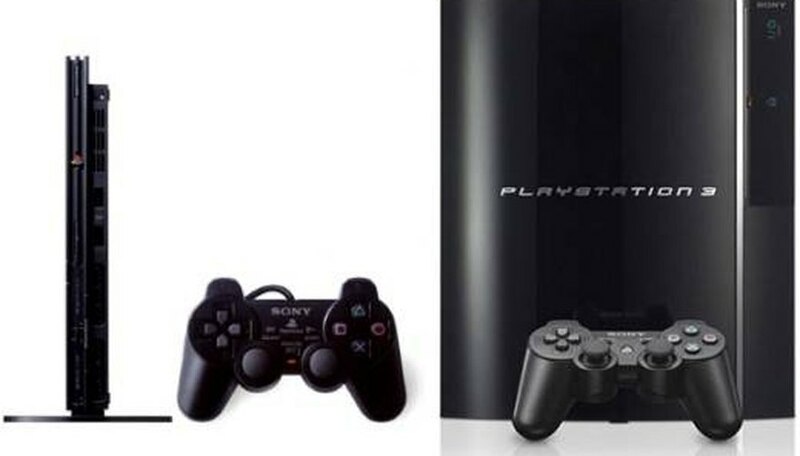 Today, the two PS3 models in production are the 40GB and 80GB versions, both of which only play PS1 games. There are two main reasons Sony discontinued the manufacture of backward-compatible PS3s. One, the cost of making the consoles was outstripping the revenue made selling them. Two, the PS2 outsells the PS3, which indicates that there is still a viable market for the older console. Some PS3 owners remain hopeful that there will be a future firmware update to enable the currently manufactured PS3s to play PS2 games, including by download via the PlayStation Store (an online virtual market that gives owners of certain PlayStation consoles the ability to purchase games). However, this might not happen as long as the PS3 continues to struggle to make a profit while the PS2 continues to sell in healthy numbers. If you want to purchase a used or refurbished 80GB that is PS2 backward compatible, check either the box or the back of the console for its model number. Every PS3 model number starts with the letters "CECH." If the next letter is an "E," it is the earliest version of the 80GB, and thus it has PS2 backward compatibility. On the other hand, if the next letter is a "K" or "L," it is one of the newer versions of the 80GB and thus cannot play PS2 games. If you have a backward-compatible 80GB PS2 console, go to the PlayStation website's "Compatible Status" at the Support Center to type in the name of the PS2 game of your choice and verify its compatibility (see link in Resources). Some games might not work at all; others, if they do, might have some minor audio and/or picture issues. Visit your local video game store or an online retailer like Amazon and eBay to shop for any of the three PS3 consoles with PS2 backward compatibility: the 20GB, the 40GB and the 80GB (CECHE01). Based in the D.C. area, Andy Joseph works full-time as a data analyst and technical writer. He has been writing articles about technology, health, politics, music, culture and automobiles since 2007. His work has appeared in The Express, Congressional Report and Road & Track. He has a master's degree in journalism and technology management. What Are the Feature of a Jailbroken PS3?